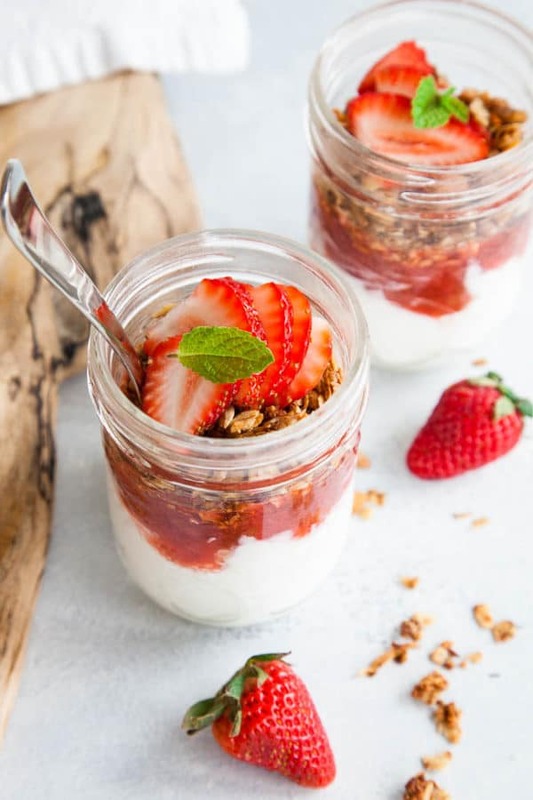 I have been making rhubarb crisps, these stewed strawberry rhubarb yogurt jars, and next up on my list: strawberry rhubarb jam. These yogurt jars might just be my new favourite way to eat rhubarb! 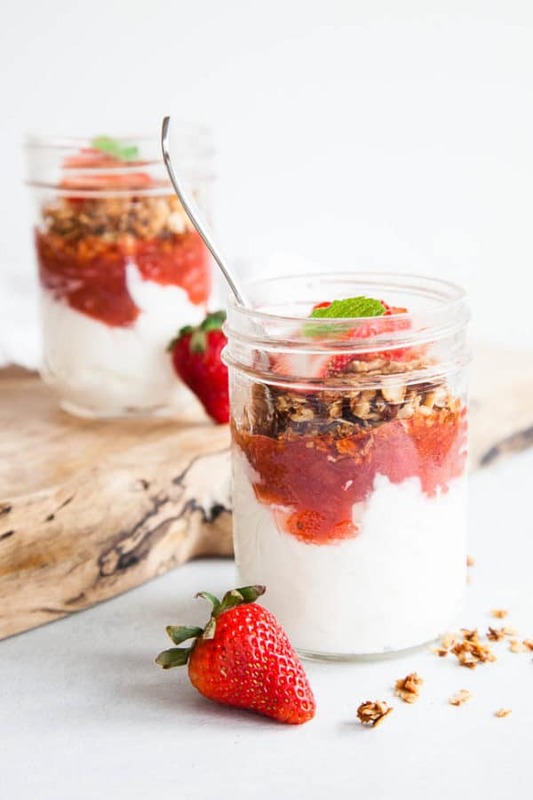 Essentially we’re making breakfast parfaits by layering Greek yogurt, stewed strawberry rhubarb sauce, and granola into a mason jar. 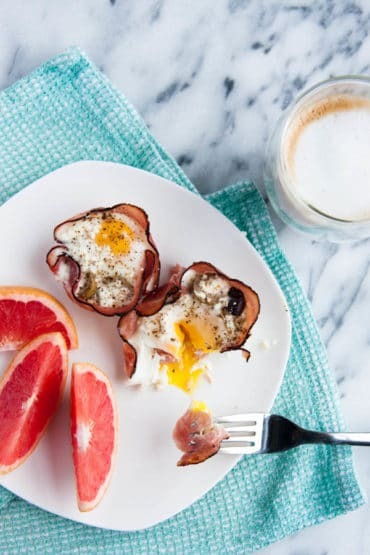 If you weren’t already aware, I looooove mason jar breakfasts. (Case in point here, here, and here.) 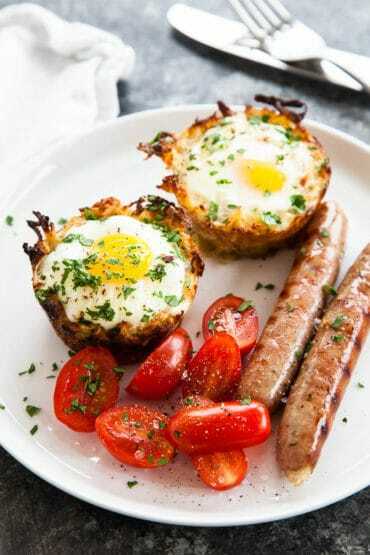 Mason jar breakfasts are fantastic for meal prepping, because you can make a whole bunch in one night and set the jars in the fridge for the week. And because mason jars are spill-proof, you can easily toss one into your purse and take it with you to work or anywhere on-the-go. 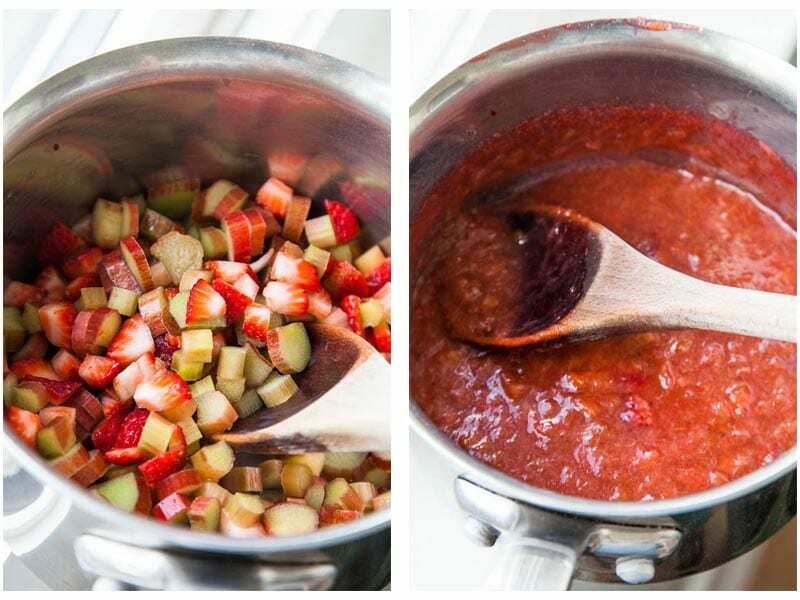 The best thing about this strawberry rhubarb compote is that it is refined sugar free! 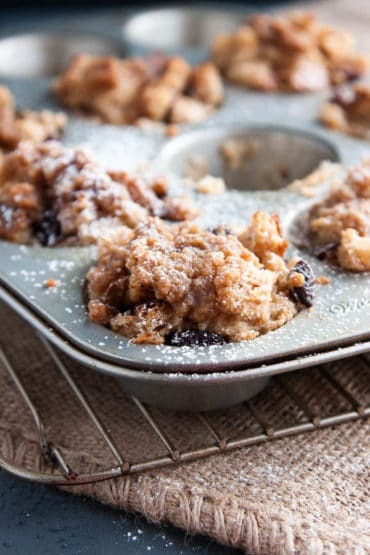 This recipe uses honey instead of sugar – which is a huge win in my books. The fruit cooks down into a honey jam consistency, which is perfect for drizzling on top of yogurt. The fruit simmers for 15 minutes, until it has broken down and thickened into a compote. Give the sauce a taste test (the most important part 😉 ), and then pour it into a glass dish (a large glass measuring cup works well) to let it chill in the fridge before using it. It’s important to chill the sauce before using it, otherwise it will essentially “melt” your yogurt and break it down into a yucky runny liquid. To assemble the jars, add a large scoop of plain Greek yogurt into the bottom of each jar. Then drizzle the chilled strawberry rhubarb sauce on top. For the last layer, sprinkle granola (store-bought or homemade is even better!) on top of the sauce. 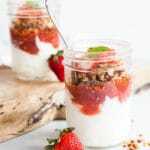 Let me know if you make these Stewed Strawberry Rhubarb Yogurt Parfaits by leaving a comment or a rating! 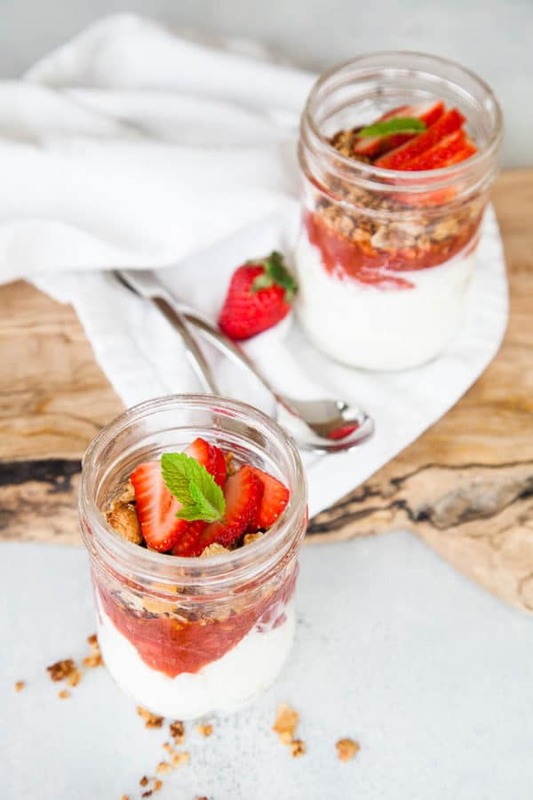 Breakfast parfaits with homemade strawberry rhubarb compote layered with Greek yogurt and granola. Recipe yields up to 6 half-pint mason jar servings - perfect for meal prepping! In a medium-size pot, add chopped rhubarb, chopped strawberries, honey, and lemon juice. Bring to a simmer over low heat. Simmer for 15 minutes, until fruit breaks down and becomes soft, and the sauce thickens. Remove from heat and pour into a glass jar or large measuring cup. Cover with saran wrap and chill for at least 1 hour. In each mason jar, add a large spoonful of Greek yogurt. On top, drizzle approx 1/4 cup of strawberry rhubarb sauce. Then sprinkle with granola and sliced fruit, if desired. If you're eating your parfaits right away, enjoy! If not, screw on mason jar lids and take to go! Any leftover strawberry rhubarb sauce will keep in the fridge for up to one week. Recipe yields approx 1 1/2 cups of strawberry rhubarb sauce, which can make up to 6 half-pint mason jars (assuming you use 1/4 cup of sauce per jar). Other uses for the strawberry rhubarb sauce: spread it on toast, spoon it over ice cream, or mix it into a cocktail! The sauce will keep refrigerated for up to one week. 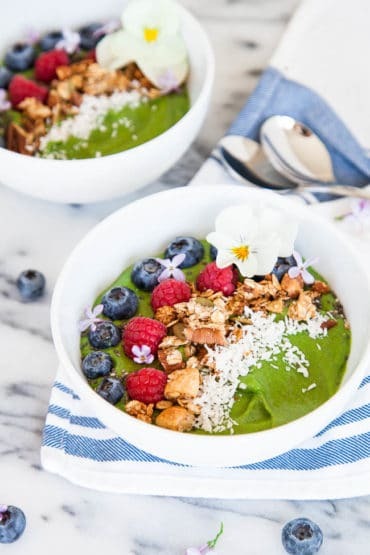 These parfaits look perfect for weekend brunch or even as a sweet snack! Delicious! They sure are – even great for week days! I just love rhubarb season, don’t you?! This looks amazing, can you freeze the compote for later? Absolutely! It freezes well, just like jam.